Answered Anthem MRX 520 to replace Yam RX-A2020? 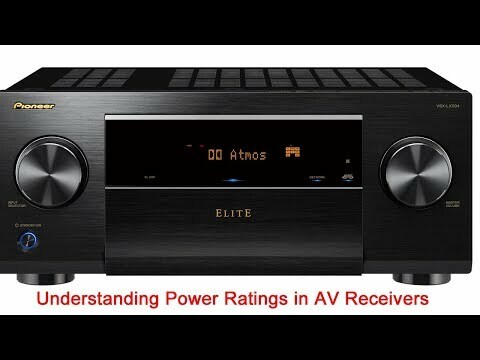 Discussion in 'AV Receivers & Amplifiers' started by montys1, Jan 4, 2017. Hi had the Yam for about 3yrs fancy a change. Only have a 5.1 set up. Monitor Audio Silver RX6 fronts with RX1 bookshelf speakers on stands for rear surrounds and RXW12 sub. Music is on a Vortexbox / Squeezebox Touch by Ethernet. Like the look of the Anthem MRX520 I realise it might not be as feature packed as the 2020 but I think it has all I need plus it's about as much as I want to pay. My thoughts are that it would be an expensive downgrade. Your Yamaha specs say that it can output 140W with 2 channels driven into 8 ohms with 0.06% distortion. Whereas the Anthem 520 specs say just 100W and that is with 1% distortion. Have you considered a Cambridge Audio CXR 200? I've just got one, so happy to share info if need be! Much appreciated will research the Cambridge. I've done similar change - from Yamaha RX-V3900 to Anthem MRX-520. ARC does miracles, blows YPAO out of the water. If stereo music is one of your priorities, you should definately get na Anthem. If you run oput of power, you can get seperate Power amp, but pre amp of Anthme is far superior to Yamaha. Cambridge does not have ANY room correction system, therefore without acouctically prepared room it will sound bad. Dont listen to anyone who did not experience ARC or Dirac Live! Although I never had an Yamaha RXA receiver, I moved from an RXV to an Anthem and never looked back. As Srekal points out in his post, ARC is superior to YPAO and the Anthem is very musical. It doesn't have the same feature set as the Yamaha, but makes up for this in SQ and room correction. I bought an Apple TV because I missed having AirPlay so there are workarounds to missing features. Can you go and demo an Anthem? Thanks Srekal and Mike - I will certainly not buy without demoing the Anthem or the Cambridge or anything else that fits the bill. I did like what I read in the reviews for the Anthem and they're not too far apart in costs, once I've sold the Yammy. Mike i'm glad to see you have MA Silvers with your Anthem - must be a good match then? If you don't need the whole 4k/hdcp2.2 and the rest then you would be better with a 710? Food for thought Steven. I don't have 4K anything at present. My Panny is 3yrs old and is guaranteed for another 2. Its calibrated and has the Lumagen so the picture for me is stunning as is. Certainly wasn't planning to upgrade that side of things until there's more content and it all settles down. I'm exploring all the options. Think nintronics are doing them "cheap"
Which is relatively low compared to other amps of that price range. But, it does have a full set of pre-outs so you could add power amp(s). That route is a bit of a faff though, more components and cabling etc. Thanks Lisa lots of thinking to do! I dont think a 710 would be low powered..i have a 300 running jamo d500's and heights with a kk dxd12012, never ever has it run out of power! Have you heard an anthem avr? If not, the quoted figures are somewhat conservative, and compared to "most" avr, will actually produce more. No, I haven't heard an Anthem AVR, but seeing as most of us don't have the option to demo every AVR in our own homes, with our own speakers and our own room set-up, we have to use the published manufacturers specifications as a guide. What I have done is had three AVR's powering my Kef iQ speakers (CA 540R / Sony 3500ES / Yamaha RX A810) and heard them all sound mediocre. It was only when I added a power amp to run the front left and rights that I finally heard them sound as good as they did in the demo room. I then looked into getting a 5 channel power amp, but that was too complicated and expensive, so went for the CA CXR 200 as it seems to have significantly more power per channel than other AVR's on the market. And I am very happy with the results. My understanding is that it is better to have too much power than not enough, as this means that your speakers will be fed little or no distortion, and you can listen at moderate volumes, without stressing the amps, with plenty of headroom for peaks. There would also be the option to ask on the forum about anthem. You don't "need" to demo every avr with your own speakers as a knowledgeable guess will usually suffice. As you are also aware published figures are no longer a guide, as they tend to over inflate things rather than real world figures. Adding a 2ch or 5ch power amp is no different, nor complicated, 5 connections vs 2. Yes, but no-one on the forum will be able to assure you that if you purchase this amp it will sound better to your ears in your lounge with your speakers. And with manufacturers over inflating power specifications, these already low ratings, are likely to be even lower in real world use. Which I think contradicts your earlier point. Please read above, "MOST" and anthem "CONSERVATIVE". So go demo anthem? Simples! One of us is confused about over inflating or under inflating power specifications, it sounds like we agree that they can't be trusted, but if read appropriately they can be used as a guide, as that is all we (consumers) have. I think you accidentally missed my point about demo-ing equipment in your own ROOM with your own SPEAKERS, not so simples. You want to demo your speakers in your room, bingo, buy and try, then return. So,,,,simples! You don't understand that most manufacturers inflate their figures,,,,,,,,anthem don't, so you didn't understand my point, as stated, read above, and ask other anthem owners, a thing you would do if looking to purchase an anthem? Yes, we all go off the forums, but seriously, ask a question and your more than likely to get a response, especially from installers and AA's who know the products, in real world and in a variety of situations with different gear. Rather than just quote specs with absolutely no experience of the product? Buying and returning stuff is not only a PITA, but also against many retailers return policies, and who has the time to do that? Plus we are talking about AVR's not speakers. I find your demeanour a little unnecessarily aggressive @Steve1210 If you take the time to read what I am saying, I am offering neutral advice and information based on facts and personal experience. I have nothing against Anthem, of course, I have never owned one or heard one. You might find this video informative, I hope you enjoy it! Yet again, you have just actually contradicted yourself. How can you base your information on facts and personal experience, when as you openly say I HAVE NEVER OWNED ONE OR HEARD ONE. I think you are crossing a line now as to what is and isn't acceptable forum behaviour. If you read my posts properly you will see that I am clear about my opinion, and how that opinion has been formed. I guess it is different to yours. That's okay.